"NOW That’s What I Call Music! Vol. 49, the latest numbered volume from the world’s best-selling, multi-artist album series, NOW That’s What I Call Music!, debuts at No. 1 on the Billboard 200 albums chart today with first week sales totaling 98,063. Released February 4, NOW 49 is available on CD and for download purchase from all major digital service providers. On May 6, NOW That’s What I Call Music! will celebrate a major milestone with the release of the U.S. series’ 50th numbered volume. NOW That’s What I Call Music! debuted in the U.S. in 1998, following 15 years of multi-platinum international success. The series has generated sales exceeding 250 million albums worldwide, including more than 91 million in the U.S. alone. Every album in NOW’s numeric U.S. series has reached Billboard’s Top 10, and 17 of the numbered editions have reached No. 1, second only to The Beatles in chart history. The series has also enjoyed Top 10 chart success with four of its non-numbered editions, including NOW That’s What I Call Christmas! (Vols. 1 and 3) and NOW That’s What I Call Country! (Vols. 1 and 2). NOW That’s What I Call Music! Vol. 49 features 16 major current hits from today’s hottest artists, including Katy Perry, Miley Cyrus, Justin Timberlake, Pitbull w/ Ke$ha, Imagine Dragons, Bruno Mars, Luke Bryan, Lady Gaga w/ R.Kelly, Britney Spears, Lorde, A Great Big World w/ Christina Aguilera, Ellie Goulding, One Direction, OneRepublic, Drake, and Zedd w/ Hayley Williams, plus five free up-and-coming “NOW What’s Next” New Music Preview tracks. The "NOW What's Next" bonus track program featured on each numeric NOW release continues to preview hot new artists with tomorrow's biggest hits. NOW 49 showcases up and coming tracks from ZZ Ward, Natalia Kills, G.R.L., Alex Aiono, and Morning Parade. Last year, NOW That’s What I Call Music! launched its first-ever U.S. streaming initiative with a dynamic NOW Spotify playlist app. The app allows music fans across the U.S. to stream and share NOW-curated and user-customized playlists featuring major hits spanning the past three decades. The NOW That’s What I Call Music! series is a joint venture from Universal Music Group and Sony Music Entertainment. NOW That’s What I Call Music! Vol. 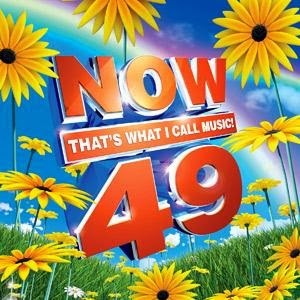 49 is distributed by Universal Music Group. NOW and NOW That’s What I Call Music! are registered trademarks of Universal Music Group and its affiliates." I have been reviewing the NOW That’s What I Call Music! series on my blog for the past few years. Out of all the compilations I have reviewed to date, I have to say that NOW 49 is by far my favorite. No wonder why it is still sitting at the top of the Billboard 200 list, surpassing Walt Disney Records, Frozen. With three #1 chart topping lists, and the remaining tracks that made the Billboard Top 10, music lovers will know each and every track that makes up this new NOW That’s What I Call Music! release.